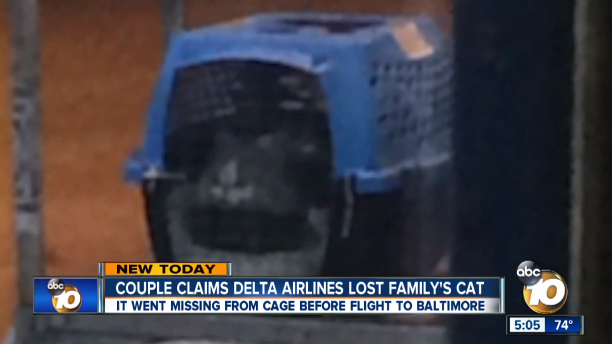 A family says Delta Air Lines failed to secure the cage their cat was in during transport, leading the animal to escape. 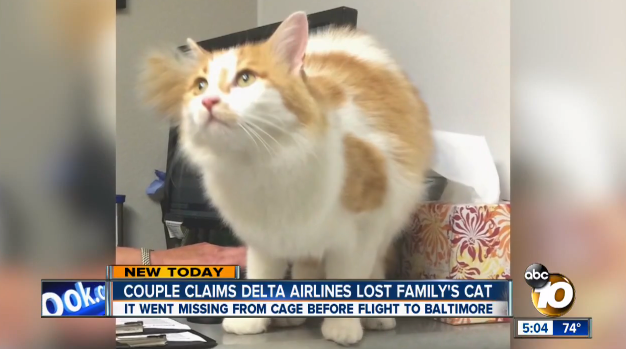 Over the past several years, Delta Air Lines has been at the center of numerous tragic stories of regarding pet transports. Now, a family who was flying their cat on the airline from San Diego to Baltimore is hoping their tale of loss ends on a happy note. A spokesperson for Delta says the airline is aware of the missing animal and has worked with the family to locate it.